Our Auction lots are one of a kind experiences, that are not available for purchase. 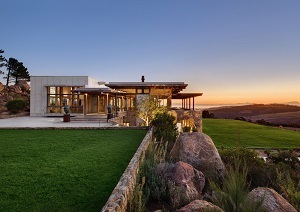 They include rare wines, exceptional private homes, supremely talented chefs and winemakers, and access to the inner sanctum of the South African wine industry. These opportunities come along once, for one auction, and then are not repeated. Living at Morgenster. 300 Years. Then and now. 1 x 6 litre Imperial 2003 Brut, a 6 course menu for 12 people at Haute Cabriere with paired wines hosted by Takuan & Christiane with Instruction and a sabrage performed by Takuan, a Cellar Tour and a tasting in the underground Vinoteque. A trio of the De Wetshof Estate’s flagship Bateleur Chardonnay in 1,5 litre, 3 litre and 5 litre. Lunch at the beautiful Hartenberg Estate prepared by acclaimed chef Peter Tempelhoff. Each couple will receive an MCC & Wine pack to take home after the lunch including a special Hartenberg case with a vertical of the iconic Gravel Hill Shiraz (3 bottles) as well as The Stork Shiraz (3 bottles). 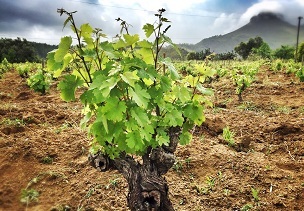 This will include the famous 2008 vintage that came tops at Syrah du Monde in France. Six bottle wooden display case of both the Lothian Mithril Chardonnay Reserve 2016 & Lothian Mithril Pinot Noir Reserve 2016, two nights* stay for four couples at Lothian House. • Dinner for 6-8 people at your own home, or a private residence in Johannesburg or Cape Town where vintage Vilafonté wine will be paired with a meal cooked on-site by Angelo Scirocco. Angelo is winner of the 2015 San Pellegrino Young Chef of the Year in Africa and Middle East; the 2016 Young Rising Star sponsored by Nederburg at the Eat Out Awards, and recently named ‘Man of the Moment’ by GQ. 1. 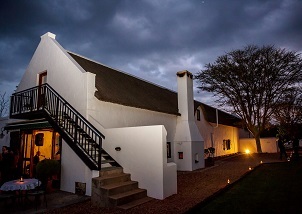 Two night stay at the historic Rhodes Cottage. This 5 double room cottage, built by renowned architect Sir Herbert Baker for Cecil John Rhodes, has been elegantly redecorated to give guests a chance to experience a piece of South African history. The services of a housekeeper are included. 2. 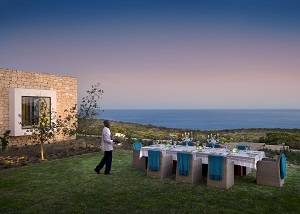 A private Farm Feast dinner at Rhodes Cottage. 3. 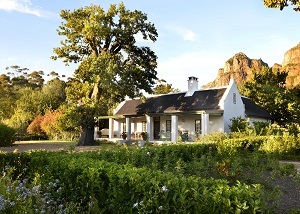 A Farm to Table lunch or dinner at the Werf Restaurant hosted by Chef Christiaan Campbell and Winemaker JC Bekker. 4. Morning horse or mountain bike ride including an outdoor breakfast. 5. 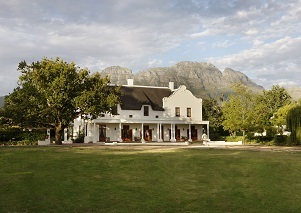 A signature wine and food tasting experience in the recently refurbished Boschendal Manor House. 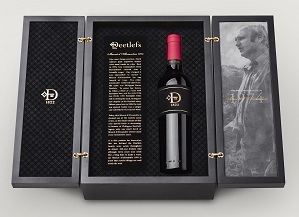 • A single bottle of 1974 Philippus Petrus Deetlefs Muscat d’Alexandrie in a limited-edition box. • Luxury accommodation at the breathtaking Thorny Bush River Lodge. A two night stay for two people sharing. Includes all meals and game drives. 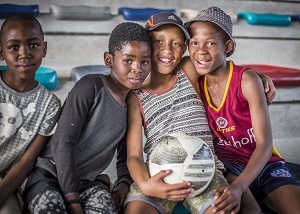 • Prestige Magazine – In the Lap of Luxury: A soccer ball signed by Nelson Mandela himself during the 2010 FIFA World Cup TM held in South Africa as well as two exclusive subscriptions to Prestige Magazine for a year. • Legacy Collection – “The Release Pendant” by Charmaine Taylor. Each piece is a poignant work of art made from the Robben Island fence, South Africa’s notorious prison that once housed freedom fighters like Nelson Mandela, Walter Sisulu and many more during the country’s oppressive apartheid years. 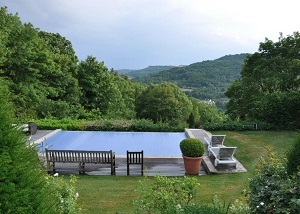 • Three nights luxurious stay for ten couples at Jan Harmsgat Country House (20 guests). 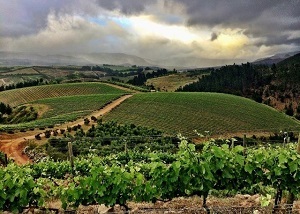 • Included is a farm tour with wine tasting as well as a dinner party on one of the nights of your stay for 20 people. • Each couple will also be given a case of their favourite JHG varietal to take home. At Glenelly’s Vine Bistro, Chef Christophe Dehosse will prepare a memorable lunch with traditional platters from the French repertoire paired with a selection of Glenelly’s fine wines. Seated under the pergola, you will enjoy panoramic views across vineyards and olive groves to the majestic mountains in the distance. Under the watchful eye of Glenelly’s winemaker Luke O’Cuinneagain, you will taste, select and craft a unique blend from the finest vineyard blocks and receive the wine in the format of your choice: 120 bottles, 60 magnums, 30 jeroboams, 15 imperials or 10 Salmanazars! 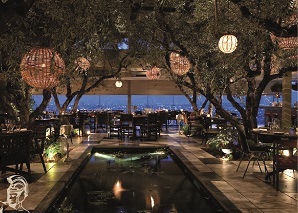 In the evening, you will experience a unique dinner prepared by Chef Christophe Dehosse. It will include dishes with black truffle and be paired with several vintages of Pichon Longueville Comtesse de Lalande and Glenelly’s Lady May. 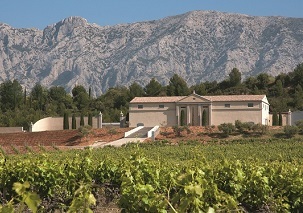 A week for 2 couples in one of the new Vineyard Villas OR a 3-day long-weekend for 6 couples in all 3 Vineyard Villas. A wooden box containing a single bottle from each vineyard of the Vineyard Hotel wine. A magnum of wine from each of the Vineyard Wine Partners Warwick, Waterford, Klein Constantia, Simonsig and Meerlust. A Simonsig Magnum and Experience. A Warwick Magnum Trilogy plus VIP tasting. • Whalehaven Conservation Coast Vertical Wooden Case, including 2 bottles from each year. Includes a private invitation for two to the launch of Platter’s 2019 edition in late 2018. An incredible twenty bottle vertical of Meerlust Rubicon from 1996 – 2015 including the declassified 2002 and 2011. 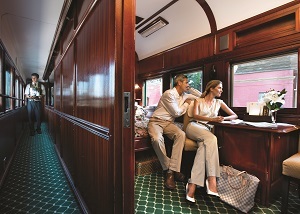 A Rovos Rail trip for two people sharing in a deluxe suite on the Pretoria to Cape Town journey or reverse. The prize is fully inclusive of all meals, all alcoholic and other beverages, the off-train excursions and room service. A private lunch for eight guests at the Meerlust homestead hosted by Hannes Myburgh A weekend getaway for two couples at the “Quarters” on the Meerlust Estate. 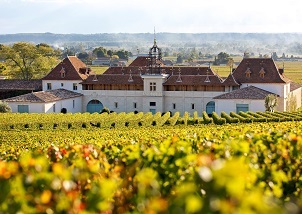 The Advini Experience for 6 people includes accommodation on legendary vineyards with cellar tours and outstanding food and wine experiences across six different wineries in France and South Africa. Including all Meals, Wine, Accommodation (4 nights in France and 2 nights in Stellenbosch) and land based transport. Lunch at 95 at Morgenster and a full farm experience. 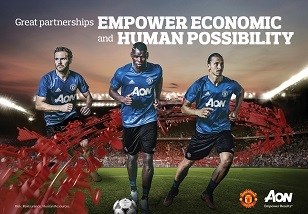 Two VIP tickets including hospitality to a select 2018/19 regular season match at Old Trafford, United Kingdom. A 2017/18 training top signed by Manchester United midfielder, Paul Pogba. Two business class SAA tickets from South Africa to the UK courtesy South African Airways. 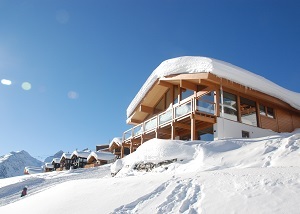 7 night stay for 12 guests sharing in a self-catering Swiss Chalet Ayoba. La Motte Estate, Leopard’s Leap Family Vineyards and Leeu Collection invite you to The Ultimate Franschhoek Experience for four friends. 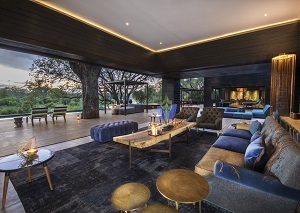 A weekend perfectly suited to those who appreciate and enjoy the finer things in life – an exclusive and tailored experience of South Africa’s gourmet and lifestyle capital. 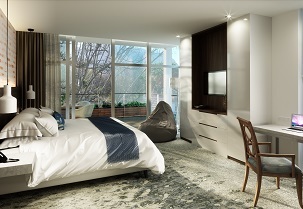 Luxury accommodation and personalised spa treatments at Leeu Estates. 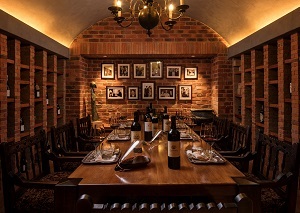 As well as an exclusive version of the South African Table at Leopard’s Leap Family Vineyards. VIP tours and guided experiences of Leeu Estates Gardens and Art, La Motte Historic Buildings and the treasured Pierneef exhibition as well as the Franschhoek Village. Luxury, chauffeur-driven transport by Maserati for the weekend’s activities in the Franschhoek valley. 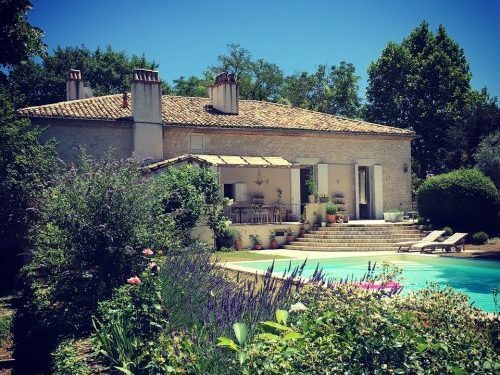 A week for 12 people at Picarroque, a villa in south west France during June-September 2018, including an invitation to lunch at the owners’ Chateau. 7 nights accommodation for your group of up to 12 pax at Marovasa Be, a boutique guest house set on a picturesque private beach, located just minutes from the baobab dotted coastline of Moramba Bay. 1x Imperiale (6 litres) of Ch Angelus 2011 . 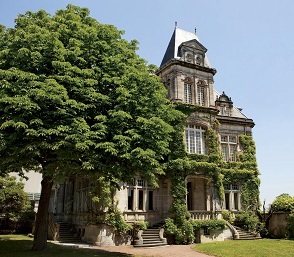 Accommodation at Hotel La Cadence in St Emilion with a wine pairing dinner at their star Michelin Restaurant for 2 and lunch the day after at Château Angélus with Fam. De Bouard. 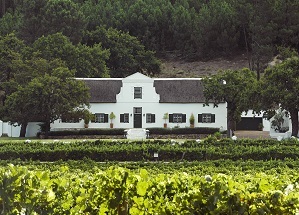 1 x Winemaker hosted lunch at Klein Constantia Homestead for 8 pax. 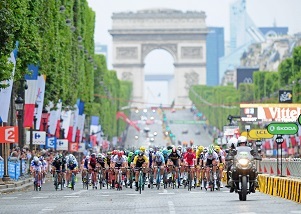 A once-in-a-lifetime, five-day experience for two to the 2018 Tour de France with Nederburg, the exclusive premium wine partner of Team Dimension Data for Qhubeka. The trip includes business class return flights, accommodation, meals and much more. A state-of-the art Cervelo S5 road bicycle, used by professional cyclist Mark Renshaw, with a value of approximately R64 000. 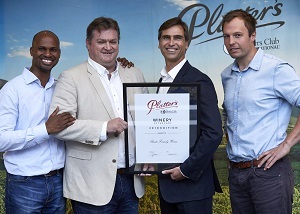 An exclusive collection of six bottles of Nederburg Private Bin R163 Cabernet Sauvignon 2013, awarded the Arcadia trophy for the best Cabernet Sauvignon at the 2016 International Wine & Spirit Competition (IWSC). The Epicurean Wines 10 Year Vertical of Magnums with The Saxon Hotel and Shambala Private Game Reserve. Ten year vertical of Epicurean wines in Magnum format – Four nights accommodation in either a Luxury Suite at The Saxon Hotel, Villas and Spa or at Zulu Camp at Shambala Private Game Reserve. 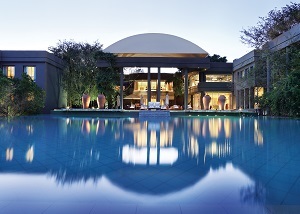 Stay at the Saxon includes breakfast each morning, an eight-course tasting menu in Luke Dale Roberts x The Saxon, a half day spa package for two, a Johannesburg City Tour and 9 holes at Steyn City golf course. Should you wish to experience the soothing sounds of nature at Shambala Private Game Reserve your stay will include all meals, local beverages, one game drive per day, a boat cruise on the Douw Steyn Dam and a half day spa package for two. 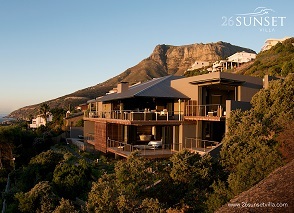 Three nights for three couples at the 26 Sunset Villa in Llandudno – Dinner at the Villa hosted by Vilafonté owner, Mike Ratcliffe, who will present 10 vintages. Specially made wooden case with vintages 2006 through to 2017. One 5 litre and the only big format bottle ever bottled of the stellar 2017 vintage. In 2015 the Mev. Kirsten was Voted one of Robert Parker’s best 50 of the year and quoted as a “cerebral wine”. Where the New World Meets the Old: To bring you this exceptional lot, the multiple award-winning Creation Wines, together with the 5-star Grootbos Private Nature Reserve in South Africa’s Walker Bay Region, has teamed up with the lauded winegrower and winemaker Philippe Colin, owner of Topiary Wines in Franschhoek and Chassagne-Montrachet in Burgundy. 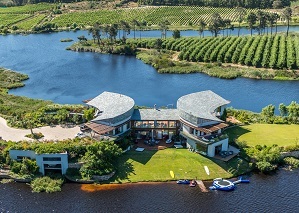 As guests of Adrian and Vanessa Vanderspuy, proprietors of Oldenburg Vineyards, eight guests will be chauffeur driven from Cape Town to the picturesque Stellenbosch airfield which is surrounded by vineyards and commanding views of magnificent mountain ranges. At Stellies airfield (as it is known to locals), you’ll board a Beechcraft Baron 58 to be flown (courtesy of Civair), Chasing the Wind from where the south easter makes landfall in Hermanus, along its path as it climbs to around 2000m over the Groot Drakenstein and Jonkershoek mountains and fashions the cool climate of Banghoek valley, creating the signature terroir at Oldenburg Vineyards. See the remarkable Rondekop from above – a view that very few can claim to have seen. Civair will return you to Stellenbosch airfield to continue your journey to Old Nectar for a guided walk through the famous heritage gardens, created by Una van der Spuy and the original Cape Dutch homestead, with her son Peter Vanderspuy. 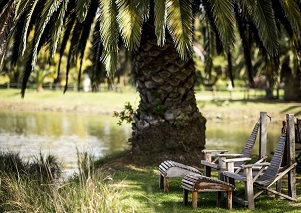 Home to the van der Spuy family since 1941, the iconic Old Nectar manor house is surrounded by the renowned gardens extending over two hectares, with a collection of individual garden areas, each with its own character. From Old Nectar your journey will continue over the Helshoogte pass and into the Banghoek valley where you will experience the signature terroir of Oldenburg Vineyards for the second time, this time with your feet on terra firma. 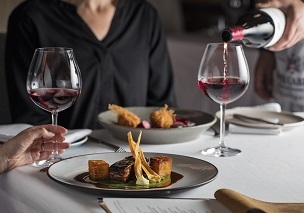 You’ll be wined and dined at Oldenburg Vineyards Cellar Door to watch the sunset and continue into the night with a six-course dinner paired with Oldenburg Vineyard wines, by Chef Craig Cormack. 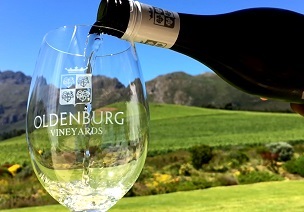 Each couple will leave Oldenburg Vineyards with a prized Magnum of the maiden 2010 vintage of Oldenburg Vineyards Rhodium. • A six year vertical of Paulina’s Reserve Cabernet Sauvignon. • Seven nights accommodation for two couples in a luxury apartment in Paris. 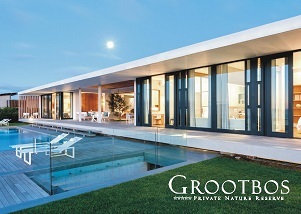 • Seven nights accommodation for seven couples at Les Louves Private Villa, Provence, minutes away from St Tropez. The world is but a canvas to our imagination. This lot showcases the power of wine and art to both stir the imagination and inspire contemplation. 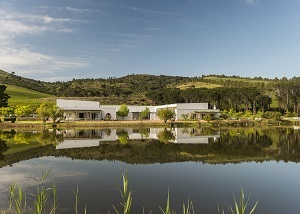 In this unique lot, Idiom Vineyards, the southern most vineyard in the Stellenbosch appellation – has partnered with celebrated artist Anton Smit to create a signature lot that empowers our youth and brings together the best of art and wine. 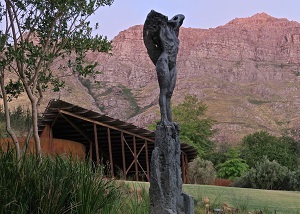 Anton Smit is an internationally renowned South African sculptor whose work explores the notion of man as a medium in constant dialogue with nature. The artist envisions his creations as part of a vital and uninterrupted flux in dialogue with nature. Focusing in this respect on extraordinary singularity, his work shares a raw, earthy qualitative power that feels innately African and communicates powerfully on deep emotional levels. It is also characterized by an overriding structural mastery coupled to fine detailed work. Widely revered for his overwhelming heads and monumental sculptures, Smit lives and works in his native South Africa. His works is present in many public and private collections internationally. “Facets II – Youth”, featuring two reflective faces, is a significant work of over 2 metres in height. The Bottega Family, proprietors of Idiom, have created a rare collection of 12 hand-signed bottles of Idiom 900 Series Wines, by proprietor Alberto Bottega, highlighting the journey from youth to present day of these wines in a black presentation box. The 900 Series by Idiom are releases of 900 bottles or less, which are considered exceptional enough to warrant special appreciation. 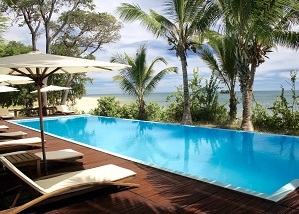 Experience an island paradise at Azura Benguerra Island located in Mozambique. Deserted beaches of pure white sand and sparkling turquoise seas set in a Marine National Park. Azura Retreats is offering two of their luxurious Infinity Beach Villas, with private infinity pool and beach front views, best suited for couples. 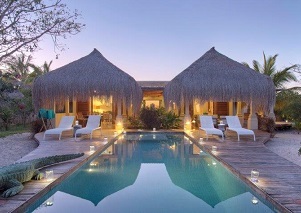 Or their two bedroom en-suite villa, known as Villa Amizade, perfect for families traveling with children. • All meals, local beers, spirits, cocktails and a selection of house wines. • An island drive and sunset dhow cruise. • A Mozambican host to look after your every need during your stay. • Five cases of each of the Chateau Pas de Loup from France’s Loire Valley, including the Cremant, Rosé and Sauvignon Blanc. • A hand numbered magnum (1.5L) of each of the Book XVII and The Black Lion 2013 vintage • One of only three ever and the last remaining 5L De Toren Fusion V 2000 Director’s Reserve • The magnificent 9L De Toren Fusion V 2007 and one of only 10 ever produced • The only 3L De Toren Z 2004 ever produced • During the stay at Tintswalo, guests are invited to an exclusive Vintage Tasting of the estate’s prestigious wines, hosted by the proprietor of De Toren Private Cellar, Emil den Dulk • Two incredible nights at Tintswalo Atlantic, accommodating 2 guests sharing and inclusive of airport transfers. Guests will also be spoiled with daily breakfast, selected drinks, two 3-course luncheons, a magnificent seafood dinner and a spectacular 8-course tasting menu experience. 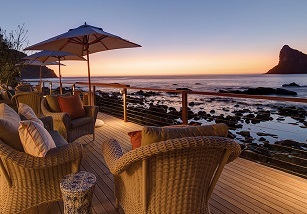 • Three spectacular nights at Tintswalo Safari Lodge, accommodating 2 guests sharing. Guests will be treated to drinks, breakfast, lunch and dinner daily, two game drives and a neck and shoulder massage during their stay. Four one-of-a-kind magnums of the Sold Out First Quantum Grand Reserve Bordeaux Style 2011 vintage blend presented in an exquisite custom wooden box, signed and personalised for the winning bidder. Lunch in the beautifully designed private dining room, MARIA, the latest offering from the Michelin star restaurant JAN, in Nice, France. Five nights and six days in a private villa in the old city of Cannes, la Cannet, on the French Riviera. A low-level whale watching helicopter flight in the sleek Eurocopter EC130 from Cape Town airport to the magnificent De Hoop Nature Reserve. The Lot includes a unique Warwick and Morukuru food and wine experience, all meals, vintage Warwick wines, soft drinks and 2 guided activities per day. • Two return business class tickets (base fare and carrier imposed fees) between South Africa and London courtesy of SAA Voyager. • Exclusive Cycad Departure Lounge hospitality at OR Tambo International Airport. • Chauffeur services within South Africa (departures from Cape Town, Durban or Johannesburg). • Chauffeur service in London to/from the Hotel Cafe Royal. • Three night bed and breakfast at the Hotel Cafe Royal in Regent Street, London. • Luxury afternoon tea for two in the historic Oscar Wilde Bar in Hotel Café Royal. • Two tickets to attend a gala screening as part of the 62nd BFI London Film Festival in October 2018. • 100,000 Membership Rewards® Points credited to your Membership Rewards Account on your American Express Card (T&Cs apply). • Tickets to the Quarter Finals of the US Open. A creative force unites Ellerman House – a hotel that describes ‘fine art as its soul’; Dom Pérignon – with its matchless vintages and the Dylan Lewis Sculpture Garden, a garden created by one of South Africa’s most foremost creative artists. 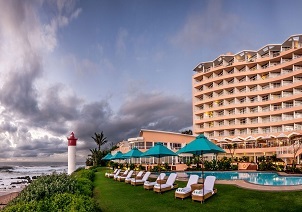 The winning bidder and 5 guests will be based at the award winning Ellerman House – a hotel renowned for its art, location, and exceptional service. For 3 nights and 3 days guests will experience the epitomy of glamourous beach lifestyle in their own exclusive-use, privately staffed villa built on multiple levels with en suite bedrooms, spacious entertainment and relaxation areas, and private pools. 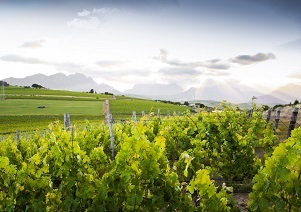 the manicured suburbs of Stellenbosch and a rugged mountain wilderness where leopard still roam. 10 years in the making, the garden contains more than sixty of Lewis’s sculptures carefully sited along four kilometres of paths. Your guided journey through the garden by Dylan Lewis will also take you through Dom Pérignon’s unparalleled range of wines, namely Dom Pérignon Vintage 2009 and Dom Pérignon Rosé 2005. Culminating in the ultimate Dom Pérignon P2 dining experience under the stars hosted by Dylan and Karen Lewis. Your BMW chauffeur will ensure seamless transfer to and from the private Villa at Ellerman house. As you sip on a glass of perfectly chilled Dom Pérignon, enjoy the entertainment by a renowned SA artist as you watch the sunset over the Atlantic ocean, followed by a private dinner hosted in the Wine Gallery at Ellerman House. Talented Executive Chef Grant Daniels and award winning sommelier Manuel Cabello team together to create a luxurious Dom Pérignon experience at Ellerman House. With each note of Dom Pérignon 2009 perfectly accentuated with carefully selected South African dishes, Manuel and Grant will guide you through an enriching culinary journey.